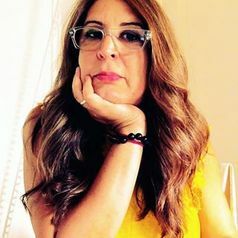 María Isabel Alfonso is an Associate Professor at St. Joseph’s College, New York, where she teaches courses on Cuban and Latin American literature and culture. Her book, El Puente Publishing House and the Gaps of the Cuban Literary Canon (Ediciones El Puente y los vacíos del canon literario cubano) published in 2016 by the University of Veracruz Press, is an exploration about the cultural dynamics of the first decade of the Cuban Revolution, with an inquisitive look into the publishing policies that defined the canon of “literature of the Revolution” since those early years. Alfonso is also part of the board of Cuban Americans for Engagement (CAFE), an organization that has contributed to the normalization of relations between Cuba and the U.S.